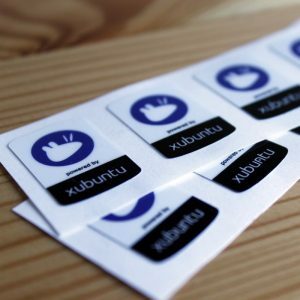 April next year will prove to be a pivotal month for many Linux distributions, but few are as best placed to build on their popularity as Ubuntuï¿½s ï¿½lightweightï¿½ spins ï¿½Xubuntuï¿½ and ï¿½Lubuntuï¿½. In spring of next year Microsoft will, finally, euthanise Windows XP. Support will officially end. No more extensions, no more updates. While its long-needed demise will be welcomed by many, it will, as a result, leave millions of PC owners adrift and at the mercy of malware and vulnerable to viruses. Tech evangelists, governments and mainstream journalists alike will find themselves dispensing advice about the seriousness of not using a ï¿½supportedï¿½ OS. And while most of this advice will consist of ï¿½buy a new PCï¿½ or ï¿½upgrade to Windows 8″, many will utter the ï¿½Lï¿½ word: Linux. When it comes to Linux most will simply recommend Ubuntu. But is that the best choice? While itï¿½s not a given that computers currently saddled with Windows XP arenï¿½t capable of running regular Ubuntu, its graphics requirements alone mean that a good margin of them will be better served by a lighter, more nimble incarnation. But what can users opting for one of those spins expect to find? The Xubuntu team are incredibly well organised when it comes to release planning. The biggest change present in Xubuntu 14.04 LTS will be the inclusion of xfdesktop 4.11, the desktop manager of Xfce. Now, I know that sounds boring, and as far as user-facing changes go, it sort of is. But all of the ï¿½under the hoodï¿½ improvements it brings are important in an LTS. You can see a full run-down of the changes in this Git commit log. Also on the menu (if youï¿½ll excuse the pun) is a proposal to ship Whisker Menu ï¿½ a powerful XFCE app launcher replacement ï¿½ by default. We recommend the Windows XP-style menu to you folks recently and, with an influx of Windows refugees on the way, adding it to the default desktop would be a smart move, helping converts feel at home. On a related note, if youï¿½re interested in helping test Xubuntu 14.04 LTS see this blog post. Lightweight LXDE-based Lubuntu will issue its first ever Long Term Support release in April 2014. As with Xubuntu and regular Ubuntu, it comes with a guaranteed five years of security patches, critical bug fixes and maintenance. Aside from putting focus on ensuring stability and performance of the distro aside, donï¿½t expect too much change on the desktop front. LXDE itself is moving along fairly slowly, and while bug fixes continue to land, new features or big refinements are not. It seems the release is to follow in the footsteps of Xubuntu and use light-locker in place of xscreensaver. Itï¿½s a more elegant solution and, the team say, fixes a number some outstanding session-locking issues. Fans of overhaul neednï¿½t worry, though. 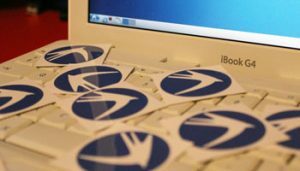 The following release, Lubuntu 14.10, will be far more revolutionary as the desktop looks to switch from using the regular GTK-based LXDE to a newer, cuter version powered by Qt..